Another Android costume ROM tutorial just to guide you for the best custom ROM available now for the Samsung Galaxy S2 i9100G, it's the CyanogenMod 10 official nightly builds, this ROM is classed one of the best unofficial ROM talked by many smart-phones manufacturers, the new CM 10 edition is based on the very latest Google Android 4.1.1 Jelly Bean OS with a tweaked performance and optimized for the best uses. After a test and review of this ROM I can confirm that its a stable, fast and clean build until this moment, i9100G must be happy with this nice release, so on this tutorial I will guide you how to install CyanogenMod 10 official on your Galaxy S2 i9100G, only for 'G' version, just follow carefully the steps bellow. 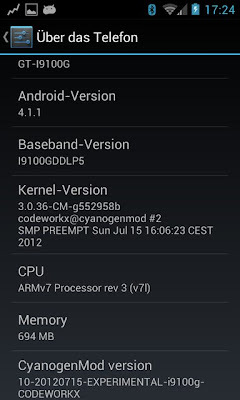 First of all, your Galaxy S2 must be running Android 4 ICS at least, if not, read our tutorial how to install ICS on the i9100G. 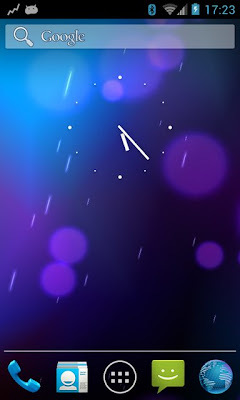 Now download "GT-I9100G_ICS" file from this page. Run Odin and browse "GT-I9100G_XX_ClockworkMod-Recovery_X.X.X.X.tar" as PDA. And now reboot your i9100G phone to the Download-Mode using Volume Down + Home + Power and confirm with vol. up. Connect your Smartphone to the computer and wait for driver installation. Now hit start on Odin tool. Now Boot into Recovery, hold vol up+center button and press power button once. Now flash the CM10 .zip file then flash GApps .zip from the "install zip from sdcard" menu and chose from sdcard or internal storage. 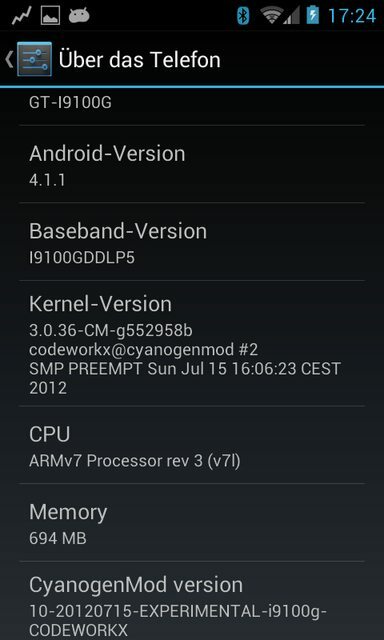 That's it, now your Galaxy S2 will restart to Android 4.1 JB CM10. If you have any problem just let me know on the comment bellow.